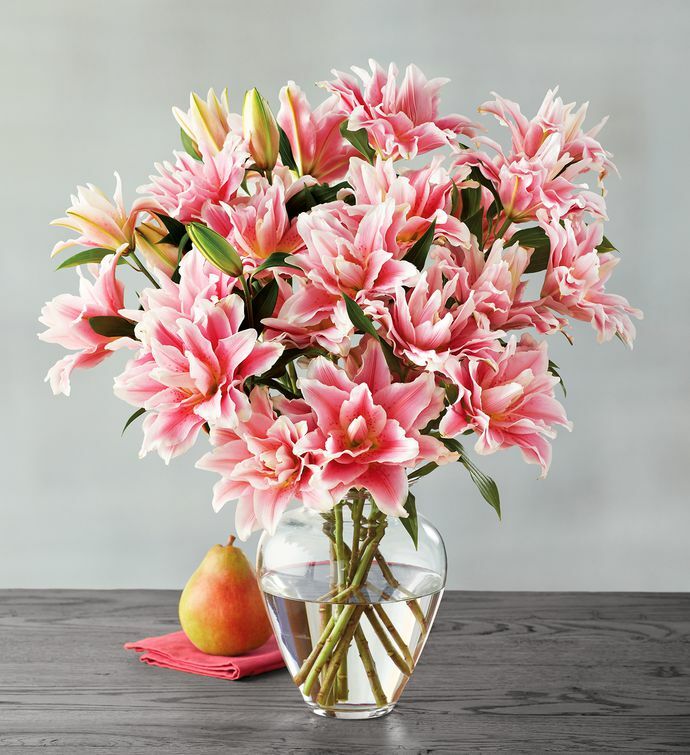 Add a gorgeous blush of color to your home with a bouquet of elegant rose lilies. Grown by Sun Valley Farms on the California coast, these delicately pink lilies produce large blooms and are pollen free. This beautiful bouquet has a long vase life, providing lasting enjoyment for you or your recipient.